Atelier D. Schlaepfer and Flyability made a two minute movie, featuring the magical encounter between two flying robots, or drone courtship. 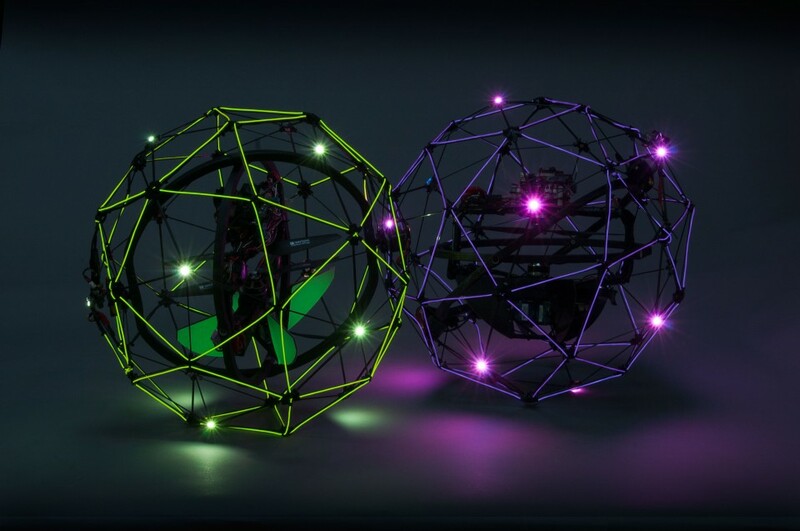 They used the world’s first drones capable of interacting with their environment and developed lighting and choreography to deliver a unique piece at the intersection of high-technology and art. They used Cool Neon Hella Phat 5.0mm Wire. We loved this video and hope you will too, it is graceful and adept all at the same time. To view the video on their website please click HERE. We loved the backstage photos, you can see those HERE. Thanks so much for sending us the video, we love sharing your work.